You put the treat in one side of the ball and your pet has to nudge the ball in order for it to come out the other side. Your pup will show his Einstein tendencies while he works to get the beloved treat out of these amazing rubber dog ball toys. 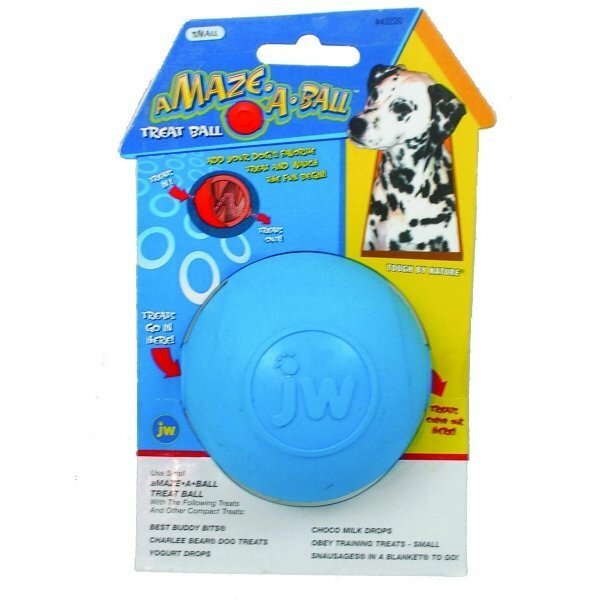 Amaze-A-Ball Dog Treat Ball has different options and/or variations, please choose below. Add your dogs favorite treat and watch the fun begin. You put the treat in one side of the ball and your pet has to nudge the ball in order for it to come out the other side. 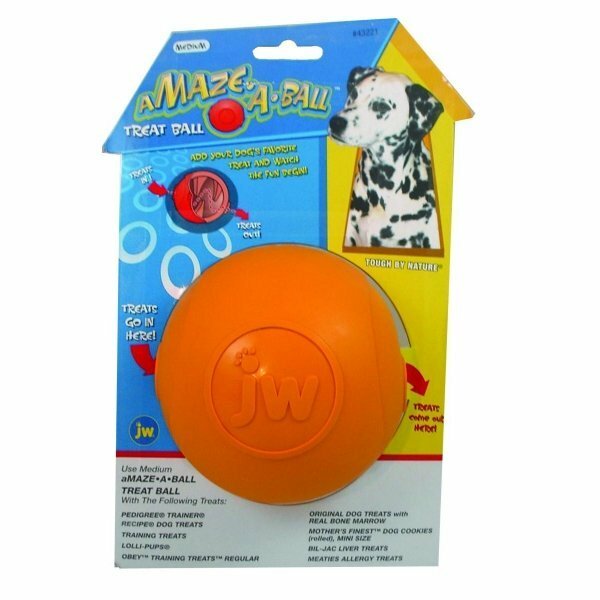 Your pup will show his Einstein tendencies while he works to get the beloved treat out of these amazing rubber dog ball toys.